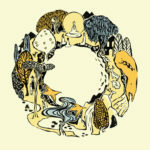 Won Buddhism teaches that we can develop a sense of gratitude for everything — good and bad — by studying the interconnected nature of life. This is the teaching of the Fourfold Grace. 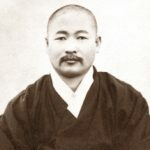 Sotaesan believed that anyone could attain enlightenment, regardless of background or education, so he founded Won Buddhism to make the dharma accessible to everyone. Andrea Miller profiles the Won Institute, an academic institution that teaches Won Buddhist studies, applied meditation and acupuncture.